Made by dutable nylon,safe non-toxic , tough and durable. Medium Size:7.2*1.97inch Why you need oneisall dog chew toy? 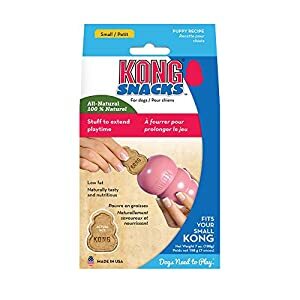 ✔ It provides long-lasting enjoyment, satisfies the natural urge to chew, and encourages positive chewing habits. ✔ They are eco-friendly and 100% recyclable.Safe enough, gentle enough and easy to clean. 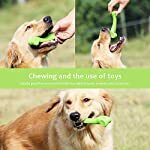 Features: Long-lasting non-edible dog toy made for powerful chewers to prevent destructive chewing. 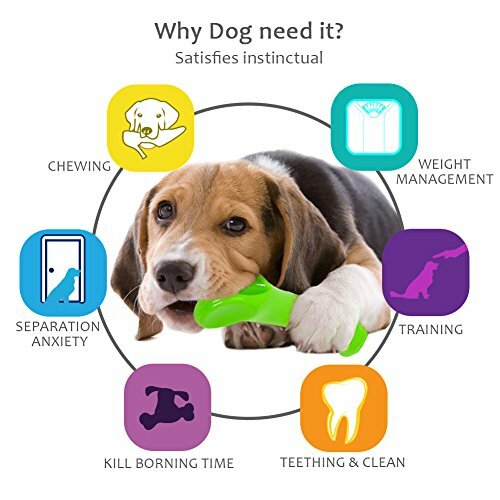 oneisall tough dog chew toys helps to clean teeth, helping reduce plaque and tartar, Provides long-lasting enjoyment, satisfies the natural urge to chew, and encourages positive chewing habits. A great chew toy to keep dogs mentally and physically stimulated and, most importantly, away from shoes and furniture. 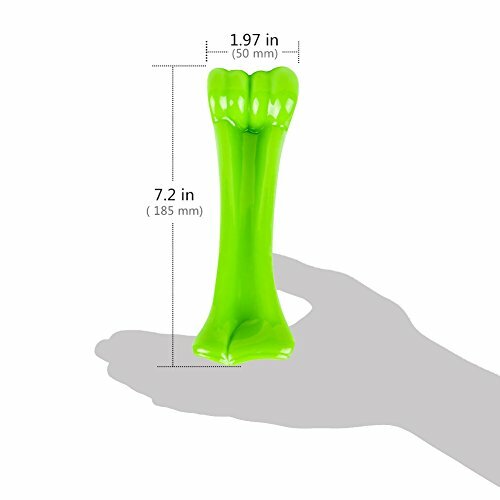 So go ahead and give your dog a bone. Note: Stop using it if the toy is damaged. 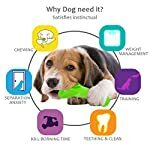 Remember to clean it after your dog play over. 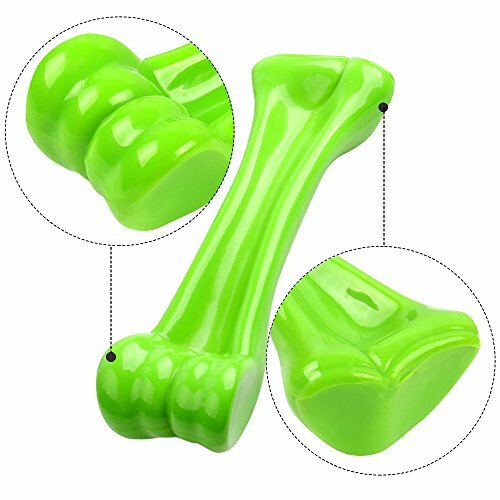 【GUARANTEE】Our Dog chew toys has been tested by many kinds of aggressive dogs and updated material time by time. 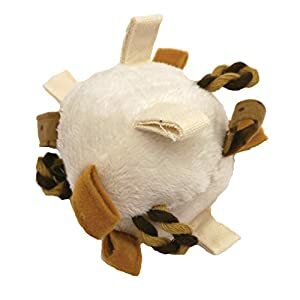 If your dog is a heavy chewer and destroy our items into pieces, , email us with picture. 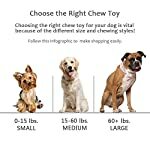 Besides the refund, we would like to invite your dog as our quality inspector for FREE updated toys. 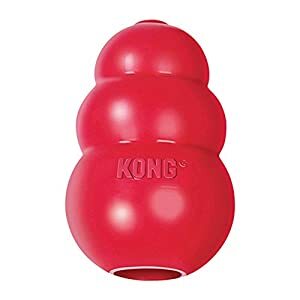 To supply the most indestructible toys is our goal! 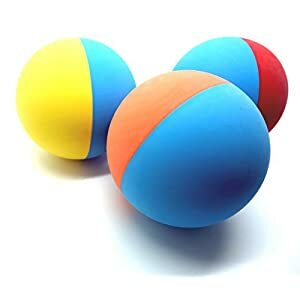 Welcome to challenge our toys! 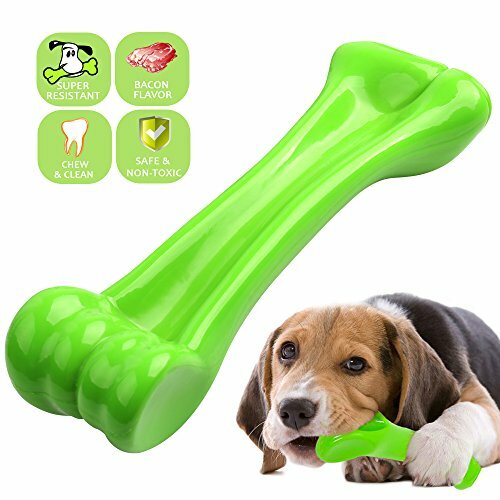  【DOG FRIENDLY DESIGN】Our dog bones are made of eco-friendly,safe and non-toxic, tough and durable durable nylon instead of rubber.Bone Shape with Bacon Flavor,irresistible chew toy for your dogs Designed for the most powerful chewers. 【AVAILABLE IN TWO SIZES】Medium and Large. Medium strong bone is suitable for 15-60 lbs. Labrador, Staffy, Bulldog, Retriever, Jack Russell, German Shepherd, Cocker Spaniel, Border Collie and so on. 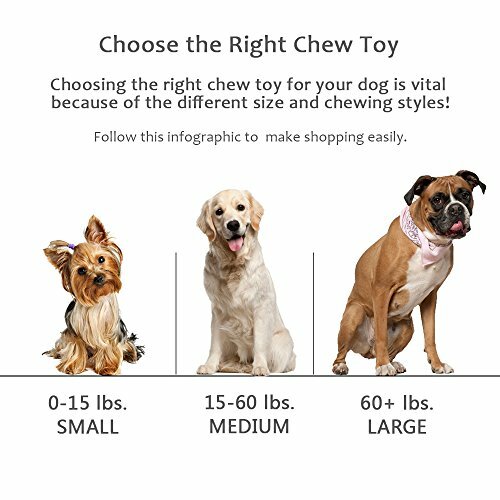 【APPROVED & GUARANTEE】Our puppy chew toys has been tested by many breeds of heavy aggressive large dogs and upgraded material time by time. We promise 1 year money back guarantee.